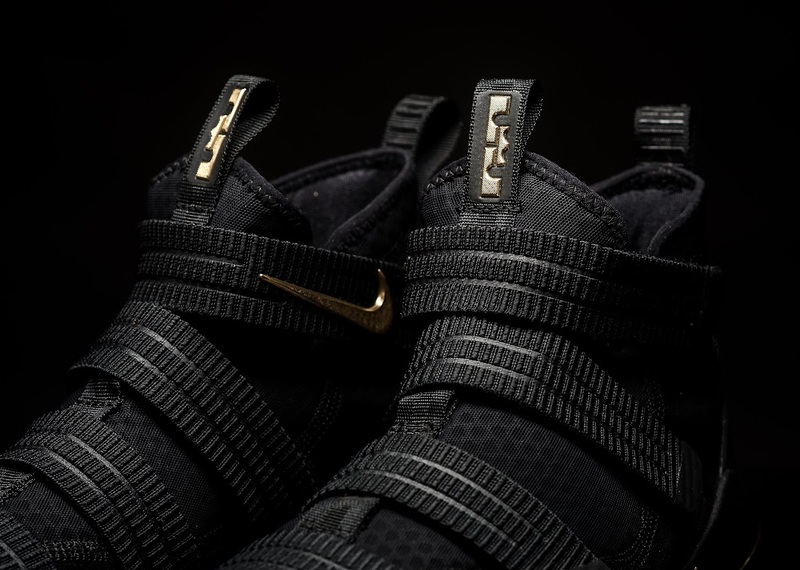 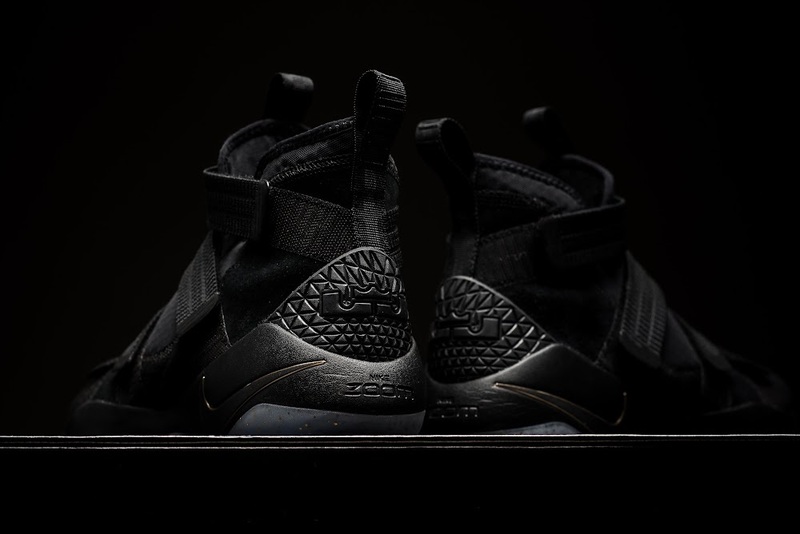 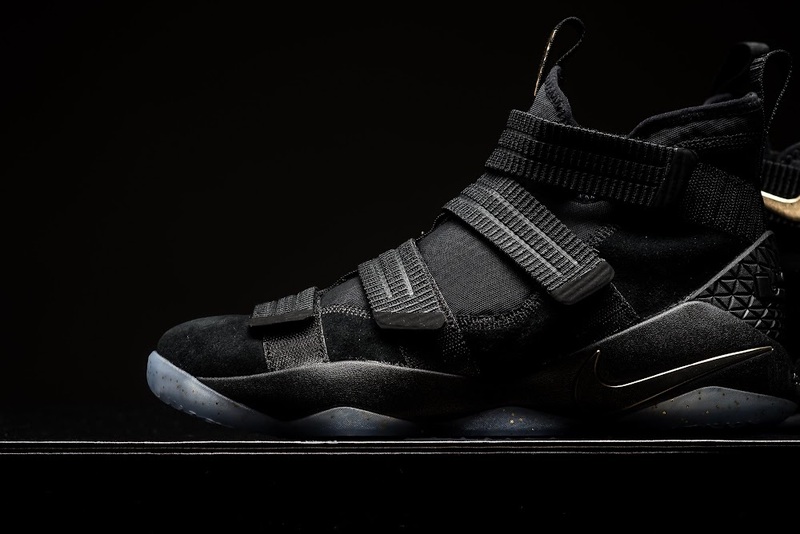 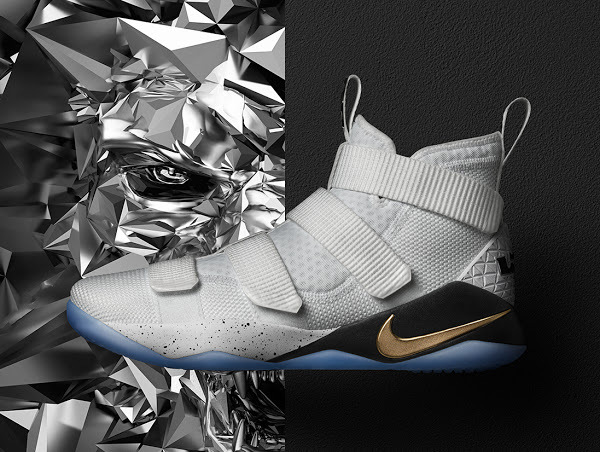 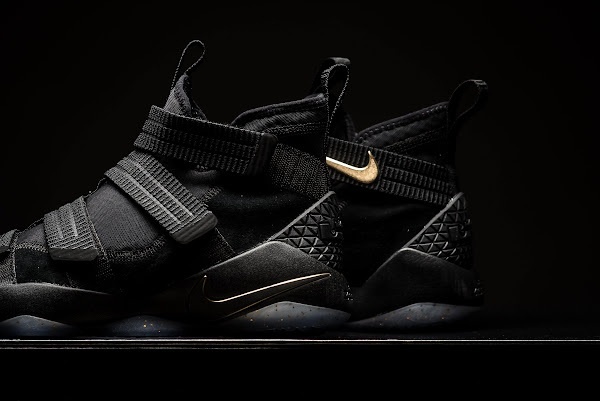 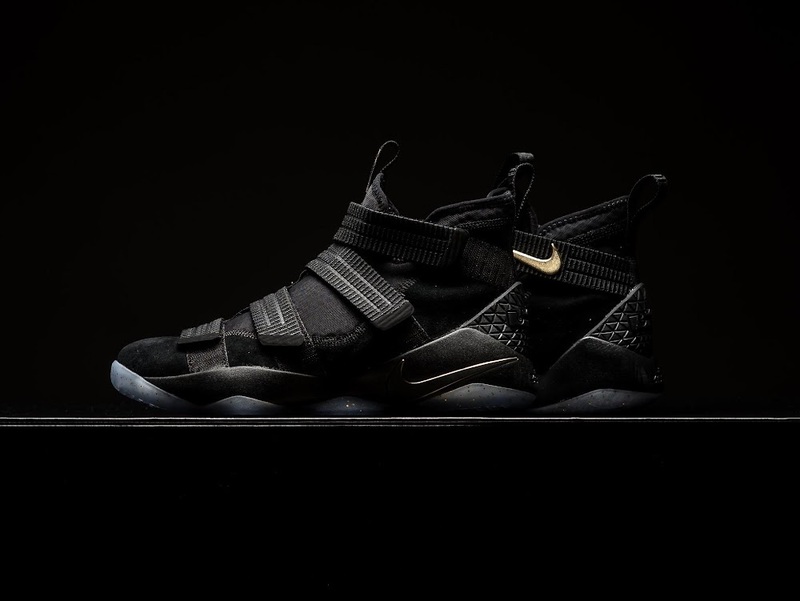 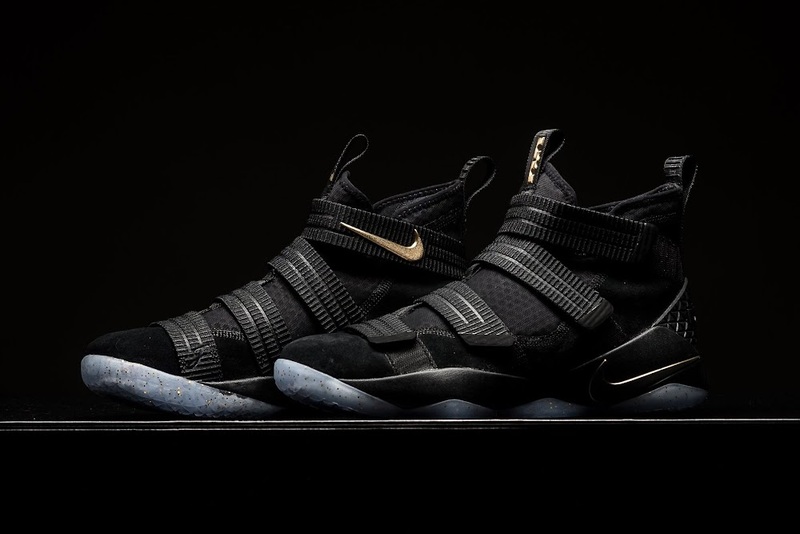 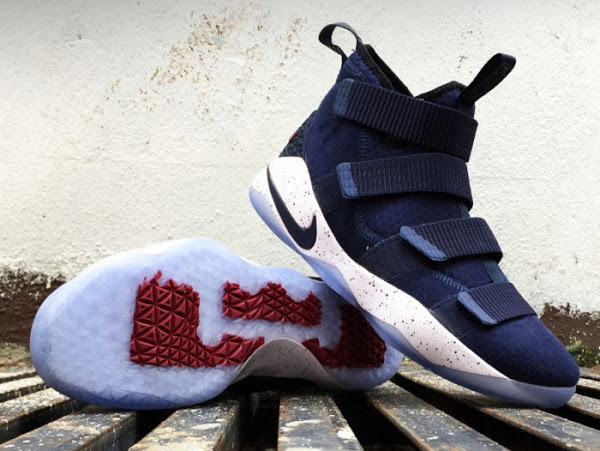 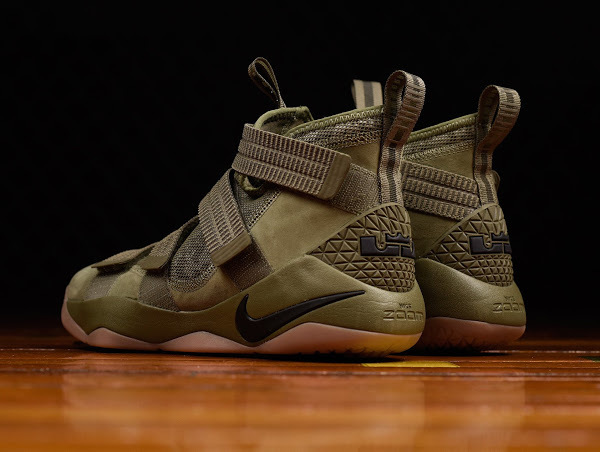 Among seventeen, at the moment, Nike LeBron Soldier 11 styles there are many Black based colorways… all black, black and gum, black and gold, black and grey, black and sail. The presented Black / Gold edition is my favorite one. Nike gave us the Prototypes back in May, but the Black and Gold version has that Elite look to it that was usually associated with LeBron James’ post-season campaigns. James didn’t wear any of the GRs in this year’s Playoffs opting for other personalized Cavs PEs. 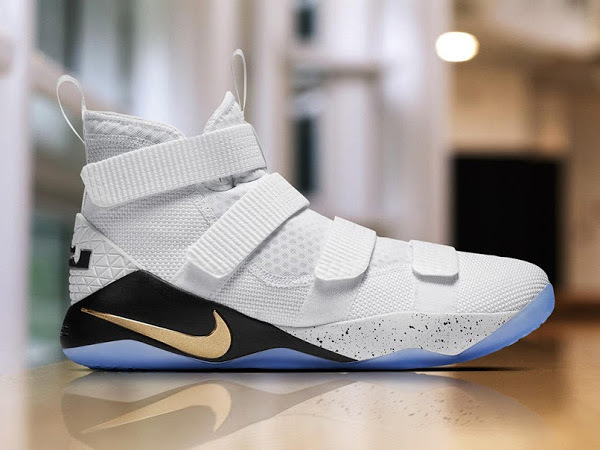 Obviously I would love for some of those to drop, but that’s not going to happen, is it? 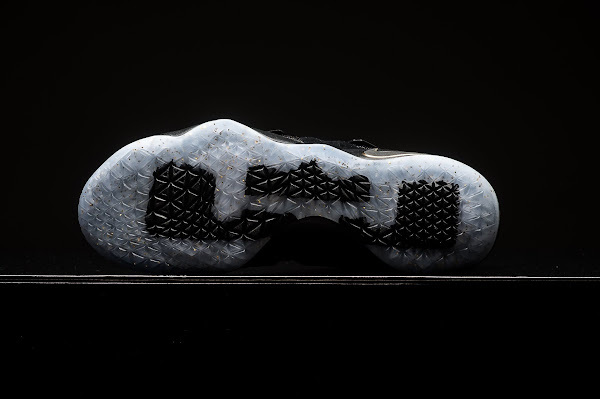 Still the GRs are solid too. The SOLDIER XI “Black/Gold” features a simple base with Suede finish, translucent outsole with Gold flakes and Gold branding. 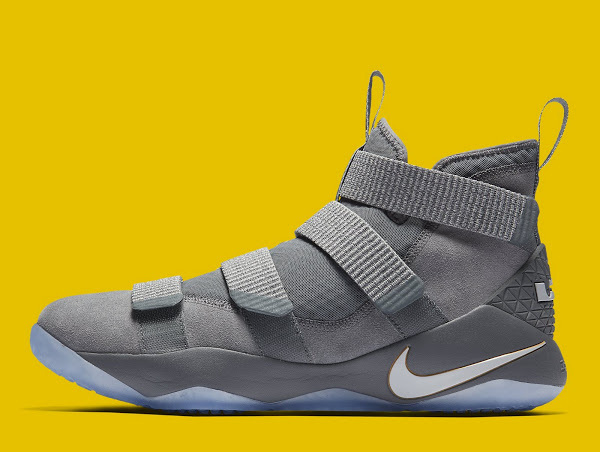 It’s definitely one of those styles that doesn’t awe in catalog pics, but good maybe these will do it for you?